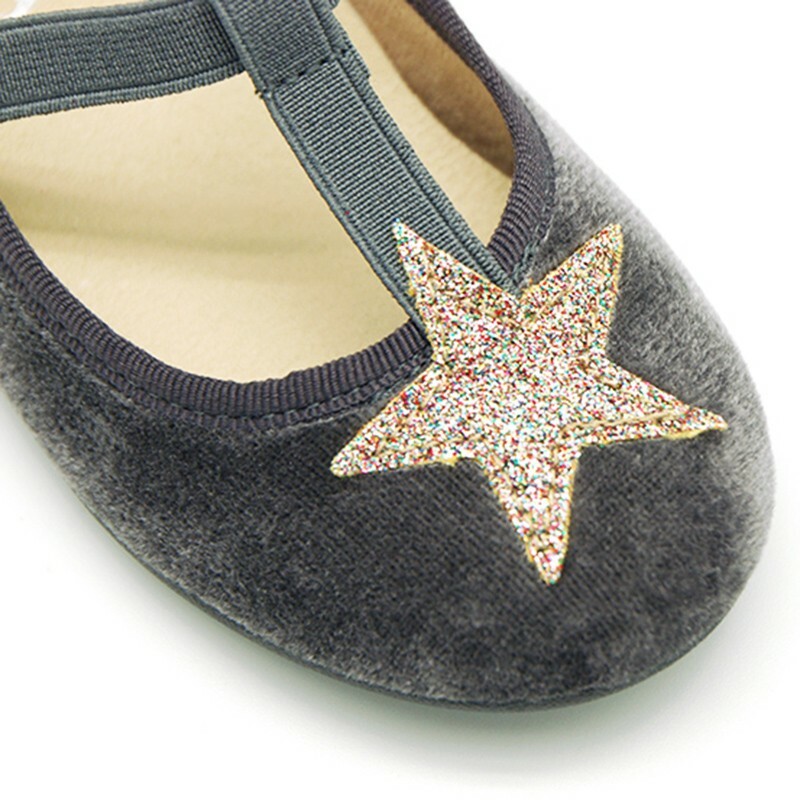 > First Steps>Mary Jane>VELVET canvas T-strap Mary Janes with STARS design. VELVET canvas T-strap Mary Janes with STARS design. Autumn winter VELVET canvas T-strap little Mary Jane shoes with elastic band and STARS design for girls. 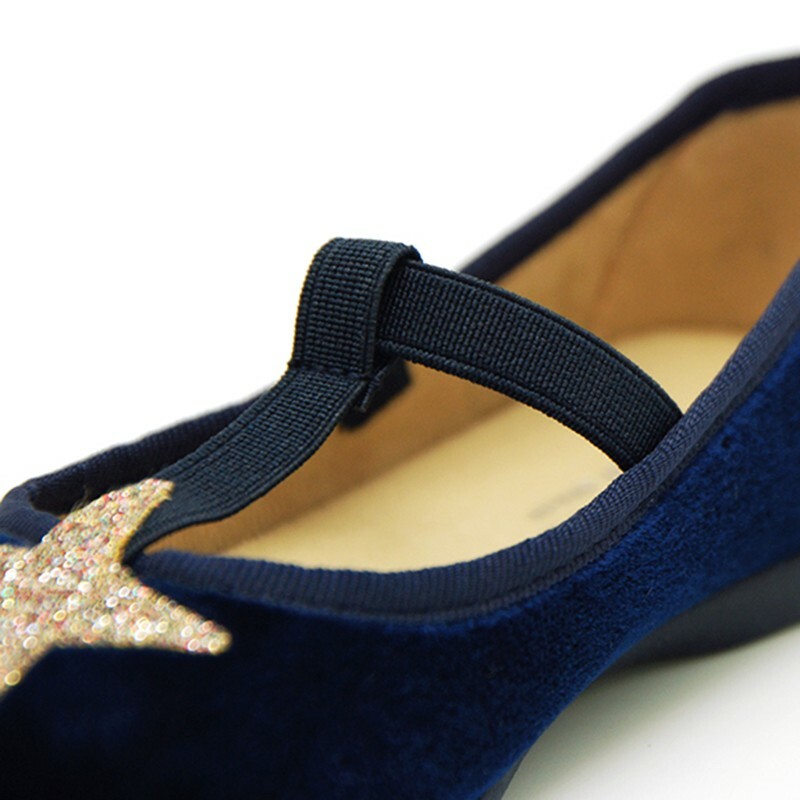 More info about VELVET canvas T-strap Mary Janes with STARS design. 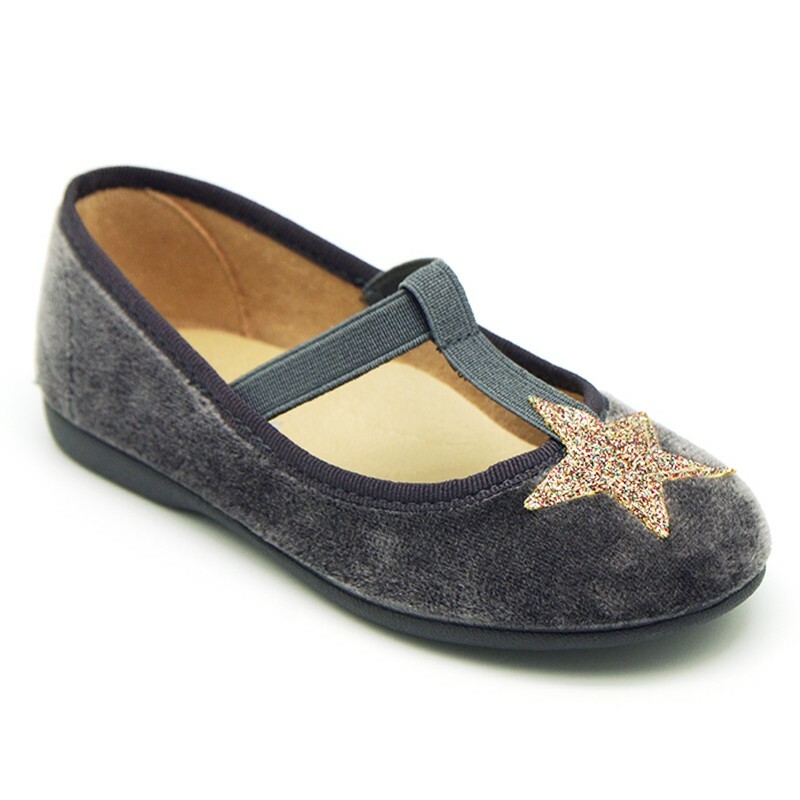 Autumn Winter VELVET Canvas T-strap Little Mary Jane shoes with elastic band and STARS DESIGN for girls. 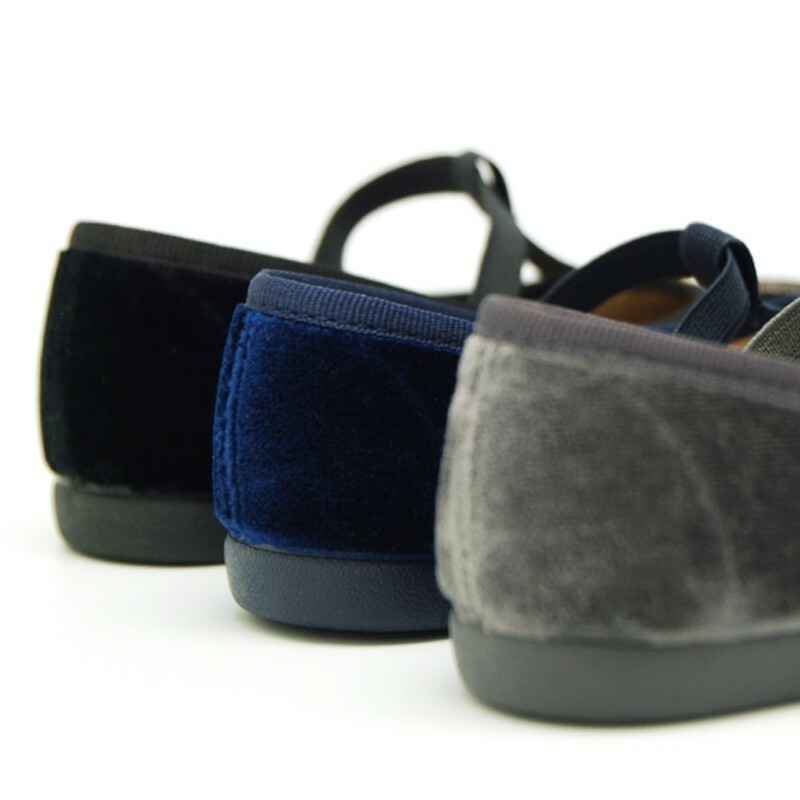 Made up of 100% natural velvet canvas for autumn winter with high quality finishes. Very practical and fits with every garment this autumn/winter. 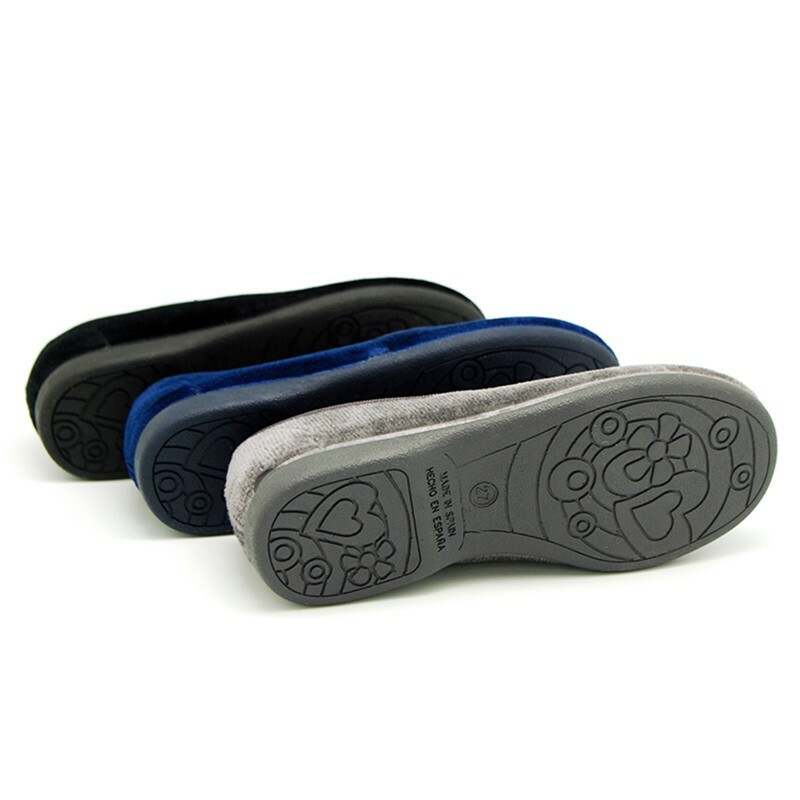 With elastic band for a better comfort and adaptability to any contour feet. With STARS DESIGN very trendy this season in all kids collections. Velvet shoes are the latest in all girl collections this season. Available in 3 colors. Range of sizes, from 21 Euro size up to 39 Euro size. SIZING REGULAR. Data sheet about VELVET canvas T-strap Mary Janes with STARS design. Medidas sobre VELVET canvas T-strap Mary Janes with STARS design.